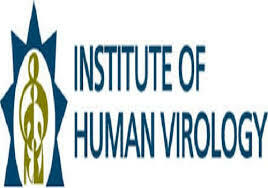 The Institute of Human Virology Nigeria (IHVN) said it had trained 54 doctors and nurses on effective treatment of malaria in Jigawa state. The IHVN Programme Officer in the state, Malam Bello Ahmad, disclosed this while fielding questions from Newsmen in Dutse, the state capital. Malam Ahmad stated that the beneficiaries had been deployed to the 27 local government areas of the state. He explained that they would provide a step down training to other health workers on Case Management of Severe and Uncomplicated Malaria. He said that two doctors and two nurses were deployed to each of the 27 local government areas in the state. “They went back and conducted a step down to other health facilities personnel in their respective areas. Thirty six health facility members of staff benefited from the step down training in each of the 27 local government areas,” Ahmad said. He said the health personnel were also trained on malaria control and modern techniques on malaria treatment at the grassroots.